This past weekend, I took a trip to New York City to meet my favorite (and the original) influencer, Caroline Calloway. I have been wanting to meet Miss Calloway since 2012, when I followed her on Instagram from the back of my Catholic High School’s classroom. Caroline recently was involved in an online media storm, where she was painted as a scammer. This couldn’t more further from the truth. Caroline just wanted to have a workshop for a few of her followers to teach us about how to build a brand on Instagram. She also spilled some details on how to get through heartbreak AND had delicious vegan food catered and made us precious care packages that I will cherish forever. Since I was going to NYC for the meet up, I decided to invite my best friend and do brand research for the weekend as well. 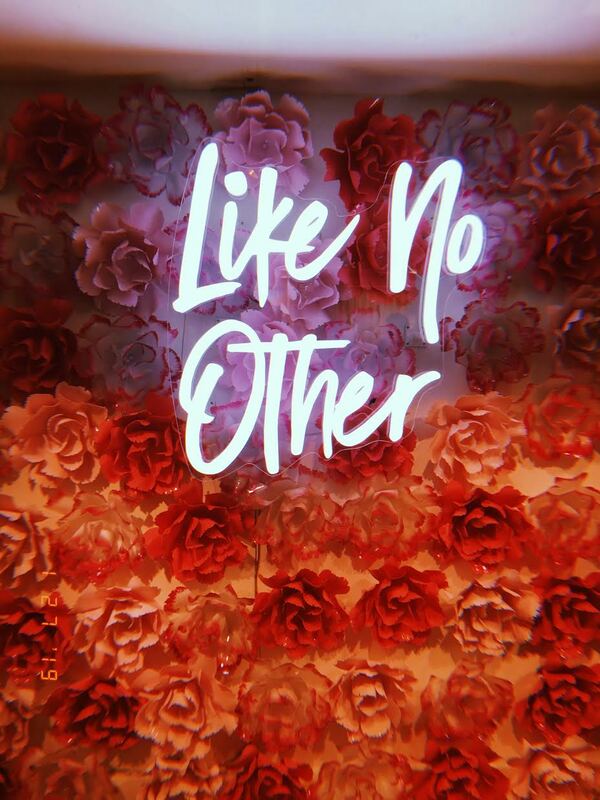 Now I will take you through 5 NYC Brands who are doing it right! Stay tuned for a recap at the end, to wrap up the big brand trends that I saw happening in NYC, one of the world’s creative & cultural capitals. Glossier is one of my favorite beauty brands ever. Their products look natural and are long lasting. I love that Glossier promotes skin health first, then makeup. Also, their brand identity is flawless. I visited their flagship store in SOHO. It was absolutely gorgeous. All of the employees wear pink jumpsuits, that I was informed are real mechanic jumpsuits that they batch dyed to get the perfect “glossier pink.” Their point of sale is set up like an Apple Store. You walk around the show room with a Glossier employee and tell them what you would like, then you pay on an I-Pad. Then they call your name and bring out your order to you in a plastic Glossier bag that contains their iconic bubble wrap bag with your products and some stickers. This store definitely adds in a nice customer experience and a beautiful space that promotes sharing your experience on Instagram. The life-sized boy brow tubes and beauty stations where you can try on the makeup really make this flagship store unique. 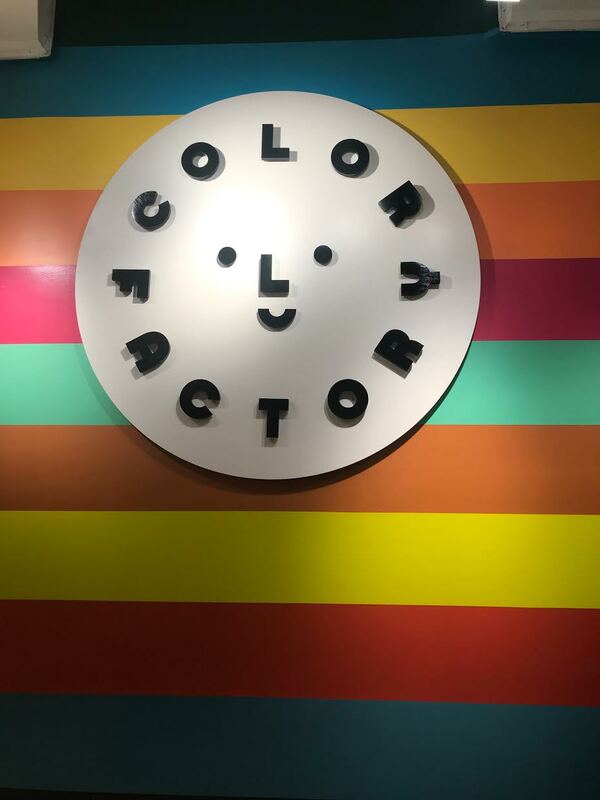 The Color Factory is an interactive experience that also serves you candy and sweets! 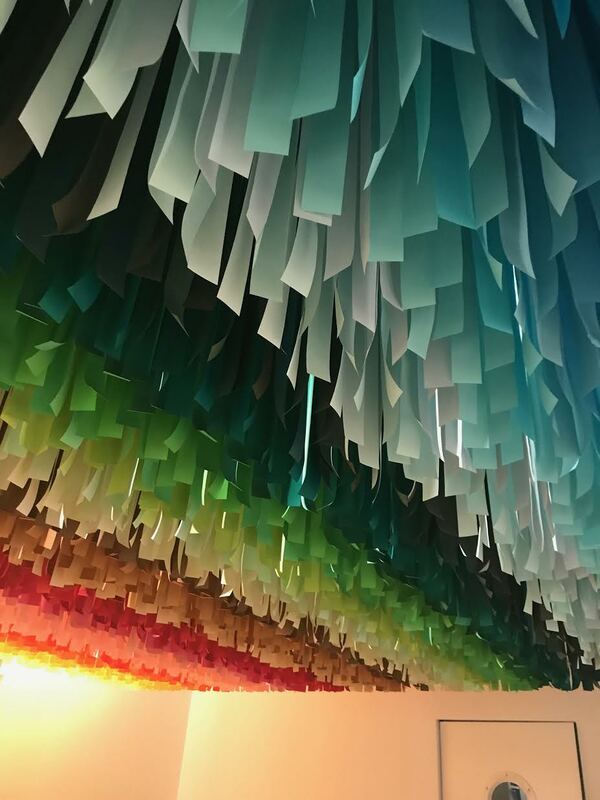 Each room takes you on a color journey. You need to book ahead on their website and make a reservation. When you first get there, you are greeted by workers in jumpsuits (yes more jumpsuits). You wait on some steps and they have a coat check for all of your items, because they encourage this to be a hands-free experience. Once it is your call time, you are brought into a transition room where a video plays explaining the rules. You are then brought into a room where you are served Macrons on a conveyor belt! Next, you are taken through several rooms with interactive experiences and sweets. Some rooms you are given Swedish fish and then you are going into a disco room. 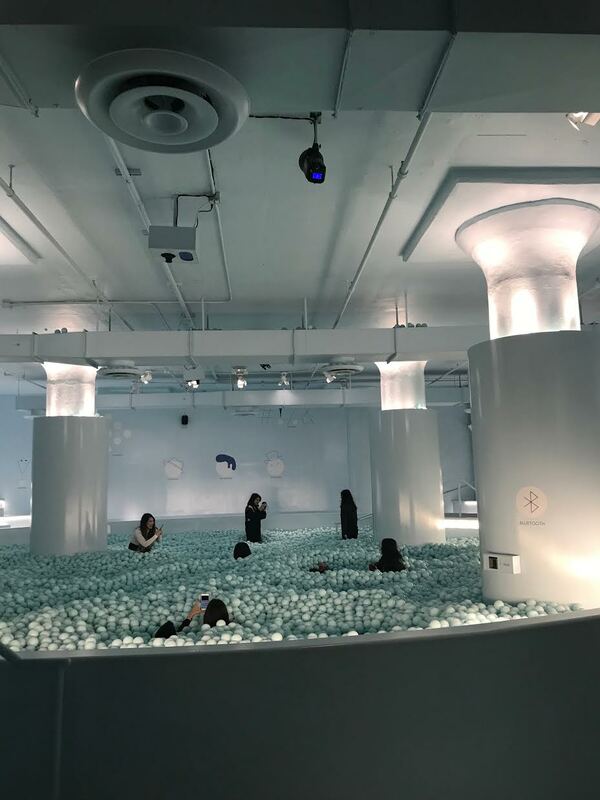 The best part of it all was the giant ball pit in the last room. 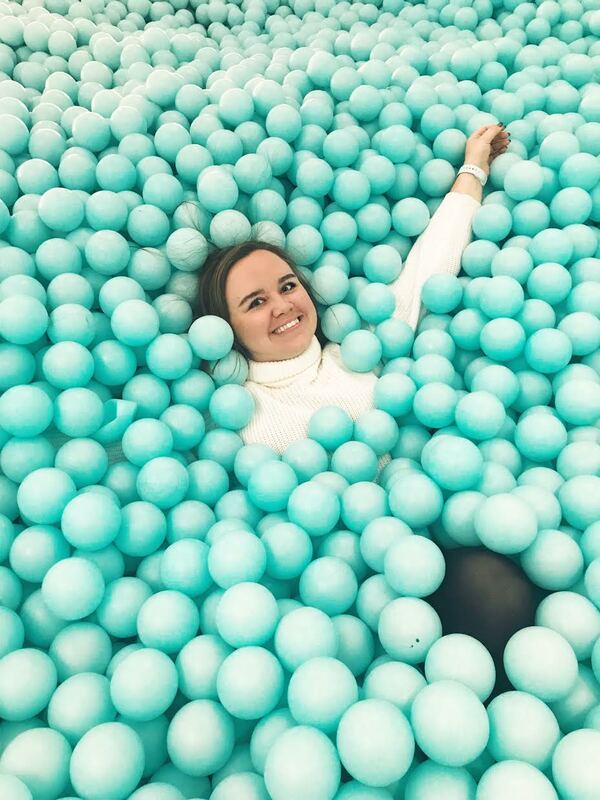 This adult sized ball pit it the pinnacle of your ideal Instagram. 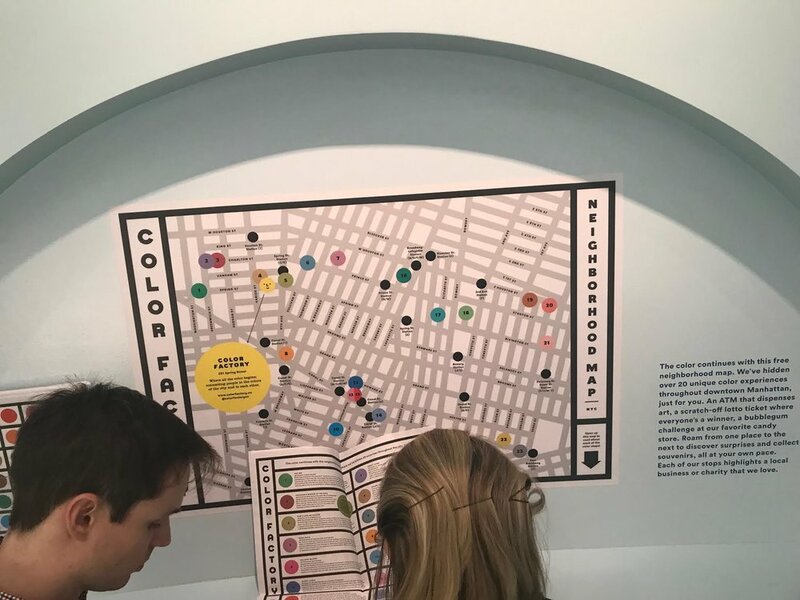 The Color Factory is a pop up that comes to different major cities, this particular one will only be available until the end of February! Go and visit! Walking along Broadway we stumbled upon this cute Matcha shop. Matcha is very on-trend right now. “Matcha is a vibrant green powder milled from specially grown green tea leaves. While you may be recently acquainted, matcha beverages have been bringing good health and vibes to the Japanese since ancient times.” (from chachamatcha.com). All around this shop stays very true to it’s brand. Their website, Instagram, and in-store ambiance all scream millennial. We walked into the store and they were bumping Drake and it was filled with Millennials. The pink and green napkins that read, “I love you so matcha” were adorable and a nice touch to the upscale Matcha shop. Cha Cha Matcha is normalizing matcha, and that is a challenging feat to accomplish. They have a couple of locations! Tiffany & Co. is a true luxury brand that has been in operation since 1837. The Flagship store has been on the corner of 57th Street and 5th Avenue since 1940. Last year, the flagship store opened up a Café on the fourth floor of their building, called The Blue Box Café. The café is named after the iconic blue box that jewelry from Tiffany’s come in. We had to book our reservation at the Blue Box Café a month in advance. The Blue Box Café has a set menu for your to enjoy, breakfast, lunch, or an afternoon tea. We went for tea! 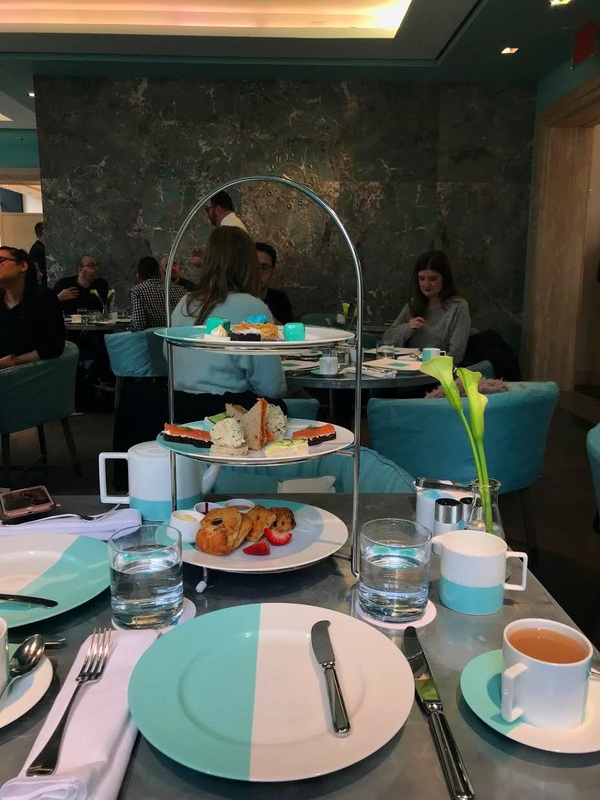 After the tea, I walked around the floors of Tiffany’s to admire all of the Tiffany Blue displays they has throughout the store. Tiffany’s is know for it’s outstanding service and luxury jewelry. This luxury brand knows that customer service and a recognizable brand identity are the keys to success. From floor to floor, the elevator attendants greet and direct you to where you need to go. 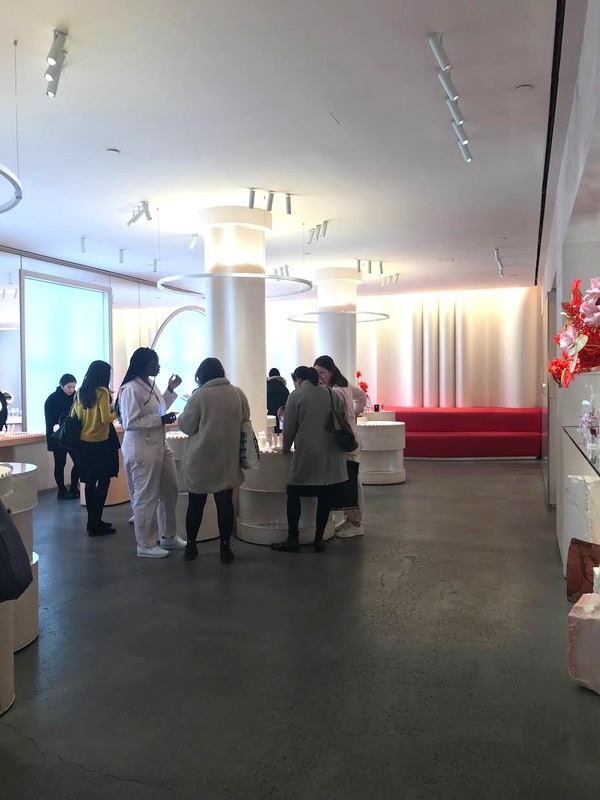 The surrounding luxury stores tend to be lackluster when it comes to customer service, but Tiffany & Co. never fails to put their customers first. NYC was packed full of trendy little spots for shopping, eating, and interactive activities. I greatly enjoyed visiting the city that never sleeps and learning about the latest branding trends. The two biggest brand trends would be PINK & NEON! 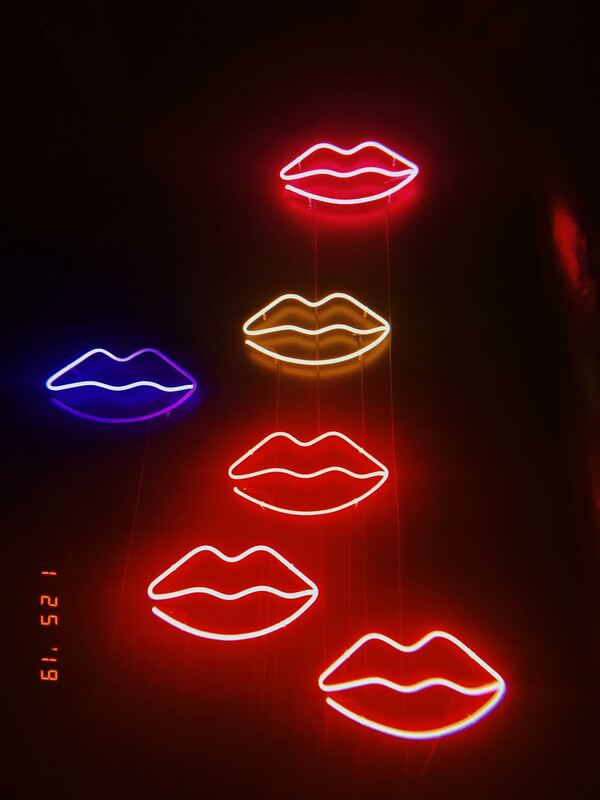 Everywhere has neon signs and the most popular brands are coated in pink. Some of the places combined pink & neon to really attract the correct market. I hope to bring what I learned from the north, down to Birmingham, but of course, with a southern twist.